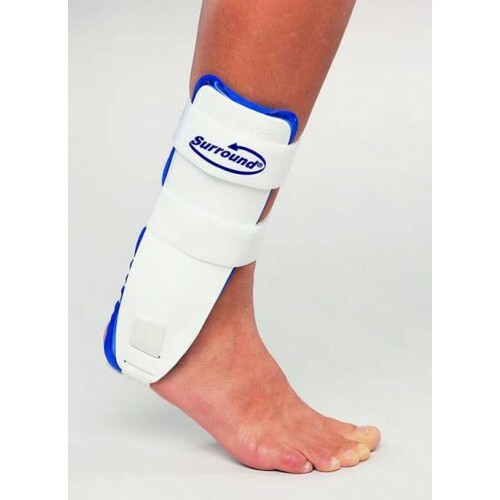 Indicated for acute and chronic ankle instabilities. Pre-inflated bladders provide support and compression to swollen tissue and relieve pressure on bony prominences. Air valve at proximal end of bladder allows for simple adjustment of air when desired. (Filling tube is included.) Air bladders have a soft plush exterior lining for comfort and to prevent skin irritation. 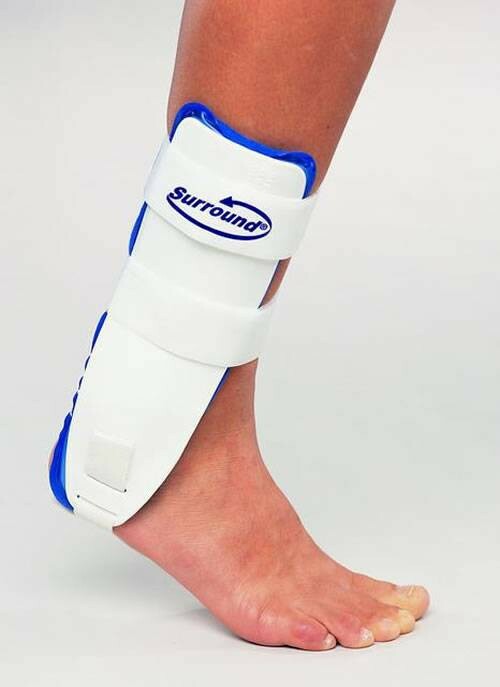 Injection molded shells provide medial/lateral support.